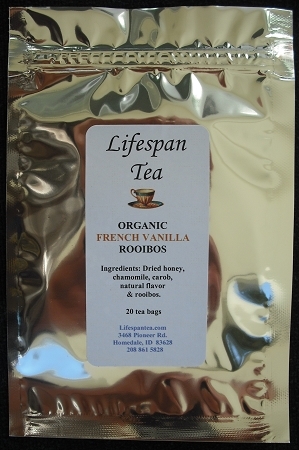 This tea has a deep true vanilla character with just the right touch of sweetness and slight caramel finish. Ingredients: Dried honey, chamomile, carob, natural flavor and rooibos. Organic, caffeine free, and perfect to serve as a dessert!